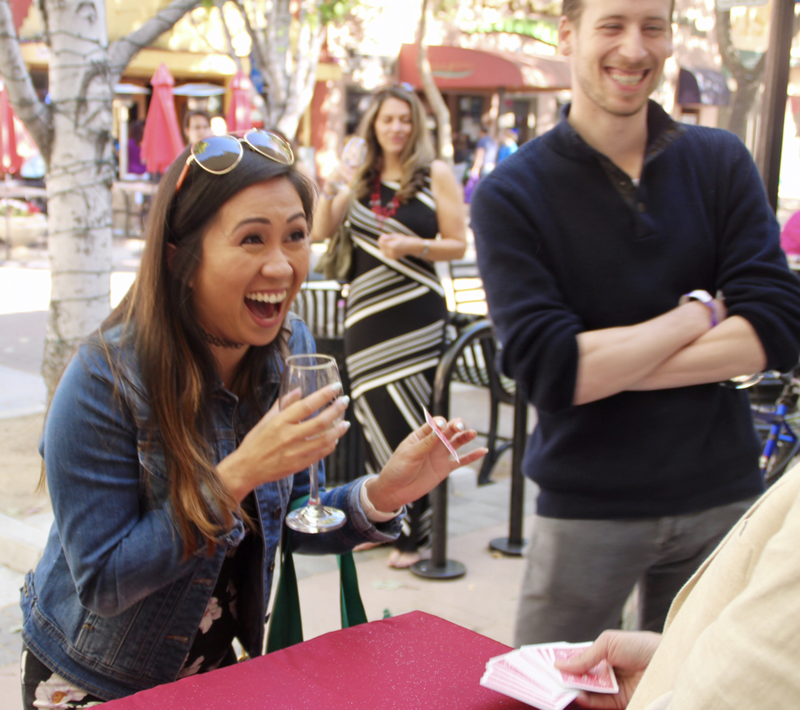 Award-winning magician in San Jose and the entire San Francisco Bay Area. ​Available for parties, festivals, and private events. Amazing magic for your guests. Peace of mind for you. 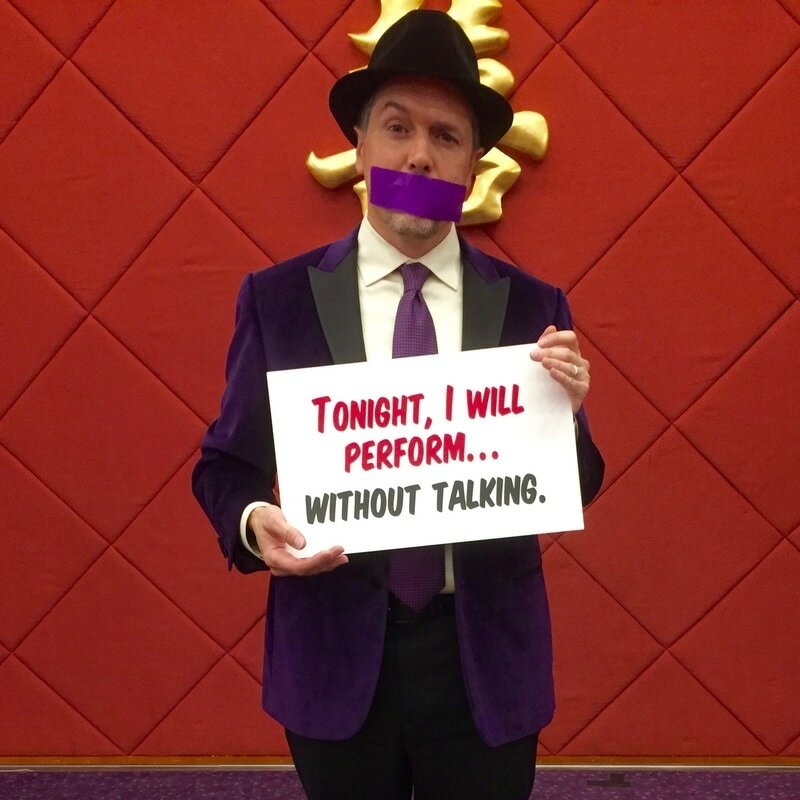 When you work with me on your next event, you'll get two things: Fun, mystifying magic for your guests, and peace of mind for yourself. That's because I provide a completely professional experience — from initial contact to the big day. Join Netflix, Roku, and other Bay Area companies who've hired me to create magic at their events. Ask for a free quote today. David was the highlight of my corporate team building day. He was great to work with, full of ideas and helped shape a combination of magic act, stories, and magic education. It was a big hit with a bunch of engineers. I would highly recommend David for a corporate event. David was absolutely wonderful at our holiday party this year! We started off the evening with some intimate strolling magic, during which David was captivating and entertaining. Later in the evening, he performed a 25 minute magic show for our team of about 25 and their spouses. There were a few children present also. David did a wonderful job of keeping the audience of all ages entertained and intrigued. I would happily recommend him for any event and look forward to hosting him again in the future! Hosting a party with kids? Check out Magic for Kids to see what I offer. Only 12 seats available! Learn about the show and reserve a ticket! Whether you’re celebrating a birthday for your child, hosting a cocktail party for your friends, or planning an event for your company, you can choose from two types of performing styles: strolling magic and parlor/stage magic. We'll work together to decide which style is right for your event — and you can always do both. ​No matter which style you choose, the whole crowd will get involved with the show in one way or another. ​I'll move from group to group, sharing my astonishing magic right in front of people's eyes. Everyone in the group gets a chance to experience the amazement up close. ​I'll perform a 30- to 45-minute show on a stage, in your living room, or in your backyard.​ I always involve lots of audience members so everyone gets to see friends and coworkers on the stage. In addition to watching a show, your guests can even learn some simple and fun tricks they can perform themselves. This is an option you can choose as part of a birthday party for older kids (8 and up) or for adults who want to learn something astonishing. "Thank you for sharing your talents with our children and families during VillageFest. ​Your magic kept the audience in awe and I appreciate it!" "Thank you so much David. You did a great job and really made it fun. There were so many good comments on your performance. People loved it." "We all had a great time. Everyone is still talking about the event." "He kept the kids engaged and entertained and had the adults baffled at his tricks as well! He was a huge hit for the whole house!" "I think you provided just the right kind of entertainment we needed last night. Everyone really enjoyed it!" "We hired David for a 40th bday, kids plus adults. He was very professional and did some really good tricks. Had everybody in amazement." "David was the highlight of my son's recent 11th Birthday Party - with about 13 curious youngsters. He was a fabulous find and worth every penny." David offers free public magic shows every other Saturday at Studio by Terra Amico. Stop by at 2:00 p.m. to watch two separate magic shows from different magicians, then stick around for a free magic workshop. I'm an award-winning magician specializing in astonishing magic with everyday objects. I perform at parties, festivals, and other events where people like to have fun and be amazed. I've studied magic since childhood, but I began taking it seriously before my kids were born. They're teenagers now and I'm still doing magic. I also currently serve as president of the Silicon Valley Chapter of the International Brotherhood of Magicians (I.B.M. Ring 216). I'm a longtime Bay Area resident. I attended school in Sunnyvale, and I received a bachelor's degree in English from U.C. Berkeley. I've worked as a writer in high-tech for most of my life, and I've also written about baseball and other subjects for publication. I live in San Jose with my wife and two kids: a daughter, 15, and a son, 12.